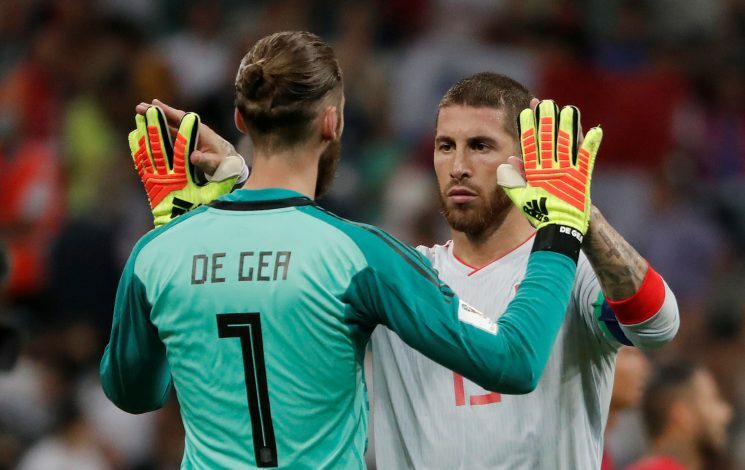 Some of the Spanish players believe Jose Mourinho’s setup has led to the downfall of David De Gea at the International level. Manchester United‘s shot-keeper David De Gea is considered to be one of the best in the world. The Spaniard had a wonderful season for the Red Devils, which saw him win the Premier League Golden Glove. But his international career is yet to take up. Iker Casillas was Spain’s no.1 for a very long time. In June 2014, De Dea made his first senior appearance when he came on for the former Real Madrid goalkeeper in a friendly match. He made into the 2014 World Cup squad, but did not feature in that tournament. Casillas’ form started to tumble soon later, and De Gea became Spain’s first-choice keeper for the 2016 Euros, holding the position ever since. The 27-year old was pretty average for Spain in the Group Stages of this World Cup. In the opening game, De Gea missed a sitter, as Ronaldo made it 2-0 for Portugal. He has featured in all three games for La Roja, but made only one save, which came against Morocco. A report in Independent suggests that the Spanish squad has lost faith in the goalkeeper. Jose Mourinho is known for his passive defence tactics, which has seen De Gea hardly get off the goal-line, as Manchester United are bombarded with opposition shots. But Spanish centre-backs Gerard Pique and Sergio Ramos are accustomed to this, and are used to the keepers who come out of their goal, allowing them to set-up attacking moves easily. Spain have played some wonderful football to qualify for the Round of 16, considering a change of manager days before their opening game. De Gea is likely to start once again for La Roja, as they face hosts Russia on the 1st of July.